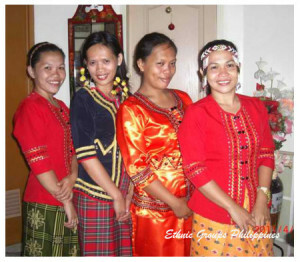 Quezon City – In the island of Mindanao, particularly in the Zamboanga Peninsula, there exists a group of lumad or non-Muslim indigenous cultural community called the Subanen. They are also known as Subanon or Subano, derived from the word “suba,” a Visayan word meaning “river,” as most of their settlements can be found near rivers or mountain streams. Approximately 175,000 inhabitants have been registered in areas such as Zamboanga del Norte, Zamboanga del Sur, Zamboanga Sibugay, and extending up to the mountainous area of Misamis Occidental. According to the history of Zamboanga City, the Subanen came around 2,000 to 6,000 years ago from Indonesia but moved into the hinterlands upon the arrival of the Muslims, who would often attack the Subanen to collect taxes and capture slaves. With the occupation by the Spaniards in the 16th century and with the migration of different groups of people in the area, the Subanen were driven further into the forest. There, most of the Subanen settled down and subsisted on rice farming and fishing, in addition to breeding a variety of livestock, such as chickens, water buffaloes, pigs, and cattle. As peaceful peasants in the hills, the Subanen lack warlike tribes, although war and ritual dances are performed on special occasions, such as weddings. During courtship, songs are performed with an accompaniment of traditional instruments. A thanksgiving ritual called buklog is performed at the start of the planting and harvest season to pray for a bountiful harvest throughout the year. It is also a thanksgiving festival among the Subanen. Weeks prior to the celebration, a constant sound of an agung or a single brass gong is produced to signify an upcoming buklog. Peace and order between families in the community is governed by a tribal leader called timuay or gukom, who is authorized as a mediator to resolve conflicts. However, if these conflicts involve heinous crimes, they are then presided over by rightful authorities in the area such as the Barangay Captain. The timuay is also an expert in the tribe’s traditional mores, as well as their indigenous beliefs. The influx of settlers and traders in recent years has threatened the homeland of many Subanens, especially ancestral domains that the tribe considers sacred ground. Logging and kaingin continue to jeopardize the mountain forests where the tribe has survived for thousands of years. In the last few years, petitions have been made by a number of Subanen groups regarding the illegal cutting of trees, which several other indigenous people from Mindanao are struggling with. To restore the forests in their ancestral domains, communities have initiated tree plantings in designated areas. Last year, eight tribal Subanen communities from five municipalities in Zamboanga del Sur were among the millions of people who joined a one-hour planting event, which targeted to plant 4.6 million trees in the whole island of Mindanao. Roughly 5,000 trees, covering 205 hectares of land, were planted by the Subanen in five communities. Literacy rates among the Subanen have improved in the last couple of years with the help of the Department of Education and other government as well as non-government agencies. Many Subanen, especially the elderly ones, realize that learning can not only improve their standard of living and enable them to assimilate but also empower them to make resolutions for the betterment of the whole community. Different livelihood and government projects have also been organized to assist farmers and other impoverished families in supplementing their income. New generations of educated Subanen work in various private and government offices, but several of them no longer practice their culture. Concerned that they will totally disappear, many natives have expressed their interest in preserving their language and culture. Various festivals highlighting the traditional lifestyle of the Subanen are becoming increasingly popular. These festivals have attracted tourists from different regions, as well as foreigners who are eager to learn more about the tribe’s way of life. Among the annual fetes’ are the Subayan Keg Subanon Festival in Ozamiz, Sibug Sibug Festival of Zamboanga Sibugay, and Kamgbegu Festival of Zamboanga del Sur.